Which Virginia Tech Freshmen Will Benefit the Most From the New NCAA Redshirt Rules? Very few freshmen can play right away in college football. The overwhelming majority of new enrollees are forced to sit for one reason or another, usually because they just aren’t ready for the next level of football. However, with the new redshirt rules approved on Wednesday by the NCAA, players will now be able to play up to four games in any given season and still be able to redshirt for that season. Indeed, the change benefits coaches as well as players. Coaches can now give true freshmen plenty of game experience while preserving their full eligibility. Given the new rules, which of Virginia Tech’s true freshmen stand to benefit? It’s conceivable that Virginia Tech, and possibly most teams, will now play most, if not all, of their true freshmen during the season. But which Tech freshmen are most likely to benefit? Virginia Tech is deep at wide receiver in terms of numbers, but the Hokies don’t have many proven options. There’s plenty of playing time available at the position, which means everyone at the position is going to get a look. Despite his slight build, Turner likely would have competed for a starting role this summer. But a shoulder injury that ended his senior season has set him back several months and it’s unclear if Turner will even be 100 percent by the start of the season. However, later in the year, Turner should be healthy and have had an opportunity to develop physically. Turner could realistically contribute to Virginia Tech later in the season and with the new redshirt rules, Turner’s late-season contribution wouldn’t affect his eligibility moving forward. Turner is a heck of an athlete and even if the Hokies remain relative healthy at wide receiver next season, Turner could contribute later in the year. Thompson is in a similar position to Turner. Thompson’s senior season was cut short due to a debilitating leg injury, as Thompson fractured his tibia and partially tore his MCL. The injury happened at the beginning of his senior season, so Thompson will have had almost a full year to heal and rehab. Still, it would be understandable if Thompson needed some extra time to get ready for his college debut. Thompson will have that time if he needs it. Even though Virginia Tech is fatally thin at cornerback heading into the 2018 season, Thompson won’t be needed to contribute immediately. However, in October and November, Thompson could play a role in the secondary. At least, Thompson could play on special teams and help return punts and kicks. Thompson has a bright future at Virginia Tech and playing in a few games as a freshman will help ease him back into things. Virginia Tech is about as green as it gets at linebacker. Tech lacks a junior or senior linebacker on the roster, so it’s expected that young players will get a chance this season. Tisdale wouldn’t be inserted into the starting lineup by that point, but he could become a fixture on special teams. Players get nicked up all the time on special teams and by November, the ranks may be wearing thin. But Tisdale, who otherwise would have zero chance of seeing the field as a true freshman, could gain valuable special teams experience towards the end of the season. Patterson is the golden boy of Virginia Tech’s 2018 recruiting class. 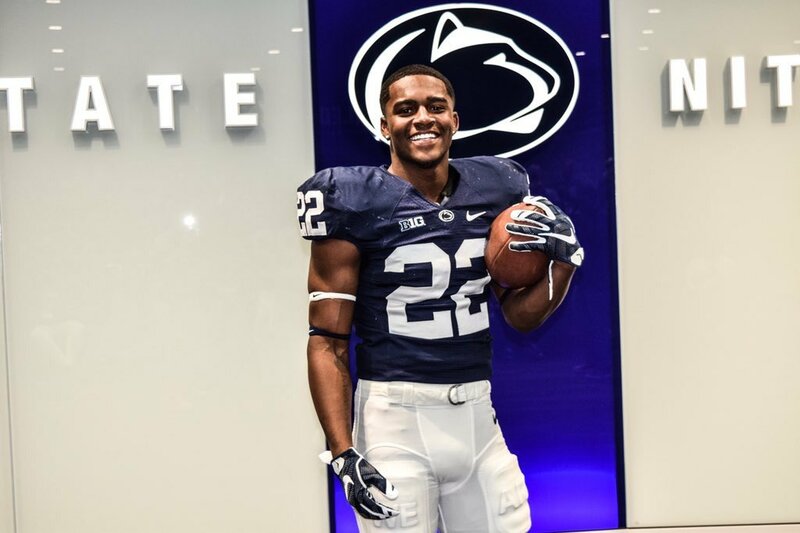 The high-upside signal caller not only has a chance to be a good football player, but has already endeared himself to the fanbase with his demeanor and off-the-field success. However, Patterson simply isn’t ready to start. Patterson has said as much since committing to the Hokies and it seems like Patterson has no problem redshirting his first season at Virginia Tech. Now, it’s almost guaranteed that Patterson will play in 2018. Virginia Tech has three straight games in September that should be blowouts — William and Mary, East Carolina and Old Dominion. The Hokies should win all three of those games going away, meaning the fourth quarter will be almost meaningless. There would be no better time to get Patterson on the field. Patterson could even play later in the season. Whether it was an injury at quarterback or another blowout (I’m looking at you, Virginia), Patterson could see the field if he has a game left. Either way, Patterson is going to play in 2018 and fans should be excited. Not because Patterson will steal the show, but because the experience he gains will be invaluable. Author Ricky LaBluePosted on June 14, 2018 Categories Uncategorized1 Comment on Which Virginia Tech Freshmen Will Benefit the Most From the New NCAA Redshirt Rules? Virginia Tech’s spring game is three weeks in the rear-view mirror, so perhaps the timing of this is off. But given how hectic the last few weeks have been for me personally, I think I’ve earned a pass. The Hokies are far from a finished product entering the 2018 season. It’s Year Three of the Justin Fuente era, and he hasn’t had a chance to stock the team full of his players just yet. Underclassmen defections have rendered the Hokies thin at a few positions, while some of Virginia Tech’s past recruiting failures are finally coming home to roost. Virginia Tech knows what they’ve got going on at a few spots, but other positions remain unclear. Here are my five biggest questions facing the Hokies as we enter the summer. Can Ryan Willis catch Josh Jackson in Tech’s starting quarterback race? Kansas transfer Ryan Willis impressed in Virginia Tech’s spring game, completing 10-of-15 pass attempts for 262 yards and two touchdowns. That glorified scrimmage was likely Willis’ most impressive performance this spring, as his level of play fluctuated throughout the Hokies’ spring practice schedule. Willis clearly has the arm talent but also has a penchant for giving the opposing defense too many gifts. Justin Fuente looks at three key things when evaluating his quarterbacks — demeanor, predicted outcomes and valuing the football. Incumbent starter Josh Jackson satisfied all three of those criteria in 2017, throwing just nine interceptions, getting the ball where it needed to be on a consistent basis and handling the ups and downs of each game. Jackson may or may not be limited in terms of talent, but with a full year of starting experience and another 15 spring practices under his belt, one would expect Jackson to improve in 2018. Jackson should be the starter come Labor Day vs. Florida State. But unlike 2017, Virginia Tech now has a backup quarterback they trust. Jackson’s leash could be a lot shorter this season with Willis nipping at his heels. Does Virginia Tech have two cornerbacks capable of playing at a starter level? The early answer to that question is no. 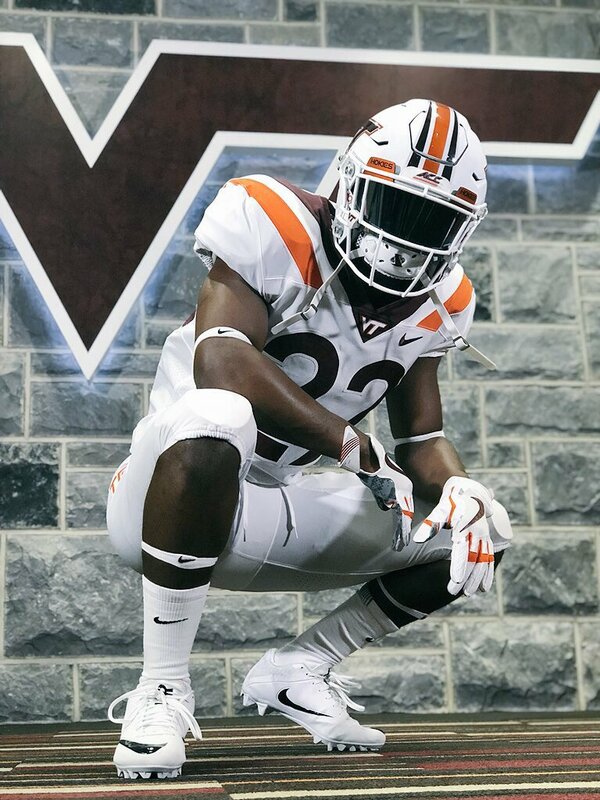 Senior Adonis Alexander has a starting spot gift-wrapped for him but is dealing with an injury and academic issues that kept him out of Virginia Tech’s Spring Game. Alexander is the Hokies’ most experienced option at corner, but also may be the most unreliable. Alexander has missed three games due to suspension over the last two seasons and dealt with injury in 2017, making him hard to count on this fall. Unfortunately for Virginia Tech, they don’t have much depth around him. 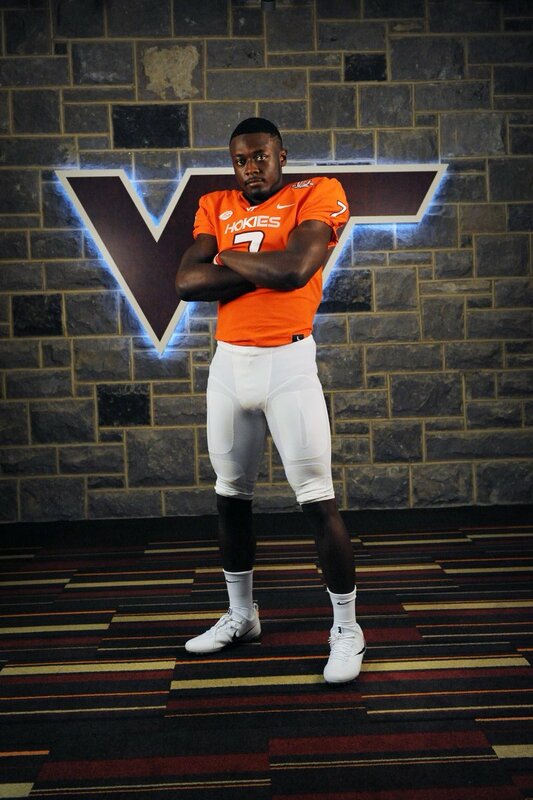 JUCO transfer Jeremy Webb is the Hokies’ next best option but hasn’t played a single snap at the FBS level and won’t enroll until this summer. Sophomore Bryce Watts and redshirt sophomore Tyree Rodgers have very little in-game experience, while redshirt freshman Caleb Farley was playing wide receiver last fall until tearing his ACL. Freshman Jermaine Waller showed flashes of good play in the Hokies’ Spring Game, but also made a few freshman errors. Virginia Tech may be forced to get creative. Whip/nickelback Mook Reynolds could move outside to corner, but it’s unclear if he could hold up out there. If Reynolds moved outside, Tech could start sophomore Devon Hunter at the whip/nickelback position. If Virginia Tech wants to get their best five defensive backs on the field, that might be the way to do it. Will Virginia Tech’s wide receivers be more productive in 2018? Cam Phillips isn’t walking through the doors at the Jamerson Athletic Center any time soon. Virginia Tech’s next two leading receivers in 2017, Eric Kumah and Sean Savoy, failed to match Phillips’ numbers in receptions, yards and touchdowns when their stats were combined together. Phillips was easily Tech’s No. 1 option in 2017, but who will be the No. 1 in 2018? Kumah played well down the stretch in 2017 and impressed vs. Oklahoma State, catching five passes for 72 yards and a touchdown. Savoy failed to make a consistent impact in the second half of the season, peaking vs. Boston College with nine receptions for 139 yards and a touchdown. Hezekiah Grimsley capped off the 2017 season with back-to-back games with at least five receptions and 56 yards but didn’t do anything of note prior to that. Damon Hazelton is eligible for 2018 but didn’t participate at all during the spring due to injury. Phil Patterson played well in Tech’s Spring Game, catching five passes for 86 yards and a touchdown. The Hokies will have other options as well, including the oft-injured CJ Carroll and freshmen Tre Turner, Darryle Simmons and Kaleb Smith. But until one or two of them prove they can be consistent producers, this will remain a glaring weakness. Will the Hokies have sufficient depth at defensive tackle? The Virginia Tech coaching staff seems less concerned with this than I am. To me, defensive tackle is the thinnest position on the team. Ricky Walker is a known quantity. Walker is a productive redshirt senior who serves as a vocal leader for the Hokies. But outside of Walker, who can make plays at defensive tackle? Vinny Mihota is moving inside, which gives Tech another veteran option. However, he’s coming off an ACL tear and hasn’t played defensive tackle in a couple years. The coaches have praised Jarrod Hewitt and Xavier Burke for their improvement, but will either be able to play a significant number of snaps and be productive? Hewitt failed to register a sack last season, and Burke played very few snaps as Tech’s fourth defensive tackle. The Hokies might need Cam Goode to play right away. The 6-foot, 317-pound freshman has a lot of talent, but will be ready in 2018? He enrolls this summer. If you think this position is thin now, wait until 2019. Ricky Walker and Vinny Mihota will both be gone after this season. Who will start at mike linebacker? For now, the answer is Rayshard Ashby. The sophomore from Chesterfield, Va. is one of the older members of the Hokies’ linebacker corps, which is a statement in itself. Ashby played special teams in 2017 and has a long way to go to be a reliable option but might be Virginia Tech’s best option. Ashby will be challenged this fall. Both Dax Hollifield and Keshon Artis will enroll this summer, and Hollifield has the talent to unseat Ashby right away. The four-star recruit stands at 6-foot-2 and 240 pounds and made the trip to see several of Tech’s spring practices. Hollifield could start next season but defensive coordinator Bud Foster has never started a true freshman at mike linebacker. Ashby should be the odds-on favorite to start vs. Florida State. There’s some truth to the notion that Virginia Tech has a recruiting ceiling. Simply put, the Hokies can’t recruit above a certain level. Raising that ceiling can be difficult. It requires a lot of winning, a lot of fans who care — I’m looking at you, North Carolina — and even a lot of money. It can take a long time to get those things in order. A quicker way to boost your recruiting profile is to find the “diamond in the rough” prospect, develop him and send him to the NFL. You do that enough, and recruits will see themselves using your school to get to the promised land. The NFL doesn’t care where you come from. The defending national champion Crimson Tide? Of course. Division II Ashland University? If you’re Chicago Bears tight end Adam Shaheen, yes. Of course, it’s more likely that you will have a professional career if you play football at Alabama than if you play at Ashland. So as a college coach, you want to send more players to the pros. That is why the selections of Virginia Tech linebacker Tremaine Edmunds at No. 16 (Buffalo Bills) and safety Terrell Edmunds at No. 28 (Pittsburgh Steelers) in the 2018 NFL Draft is so important. Tremaine and Terrell Edmunds are just the 10th and 11th Virginia Tech players to be drafted in the first round of the NFL Draft, or the 11th and 12th if you count Mike Johnson, who was taken in the NFL’s supplemental draft in 1984. Eleven first-round picks might sound like a decent amount, but when you look at how the Hokies compare to other programs, it isn’t all that much. 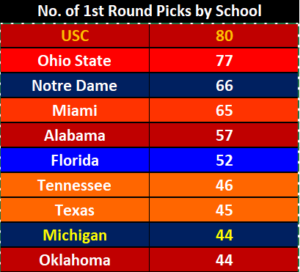 Here are the top-10 college football programs, as it relates to first-round NFL Draft picks. Clearly, Virginia Tech doesn’t come close to some of the premiere programs. Virginia Tech’s nine first-round picks entering Thursday was tied for 54th nationwide. 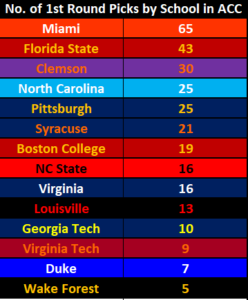 When you just compare the Hokies to the rest of the ACC, they don’t stack up well there either. This is why Edmunds’ selections are so important. 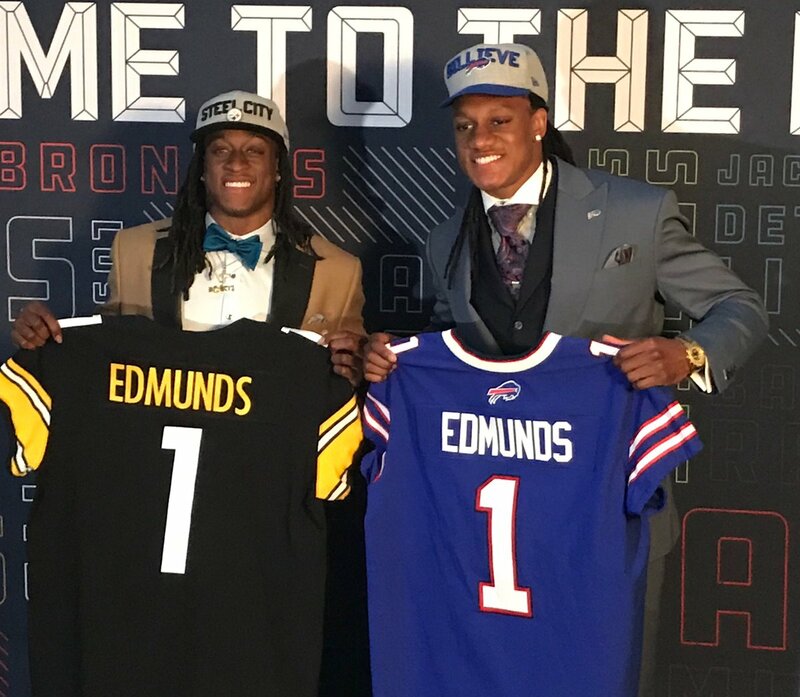 The Edmunds family made history on Thursday night, as Tremaine and Terrell became the first two brothers to be taken in the first round of the same NFL Draft. Virginia Tech needs to show recruits that they can achieve their goals in Blacksburg. Clearly they can, but there are dozens of other schools who have a better track record of sending players to the NFL. The Edmunds brothers should be used as the poster children for Virginia Tech recruiting. The Hokies will continue to recruit those four and five-star players, but Edmunds gives Virginia Tech a blueprint that they can lay out for the average high school football recruit. The youngest Edmunds, Tremaine, wasn’t always a 6-foot-5, 253-pound specimen. The Danville, Va. native was just a three-star recruit in the Class of 2015 with just six other Power 5 offers. Edmunds wasn’t a highly-recruited high school player, and not many thought much of him until 2016, when Edmunds started his first full season for Virginia Tech. Edmunds turned into one of the Hokies’ best players in his two-plus seasons worth of starts, finishing with 100-plus tackles in 2016 and 2017. Edmunds finished his Virginia Tech career with 10 career sacks and 35 career tackles for loss, both of which are impressive numbers. Terrell Edmunds wasn’t projected as a first-round pick, but the Steelers clearly saw something they liked. 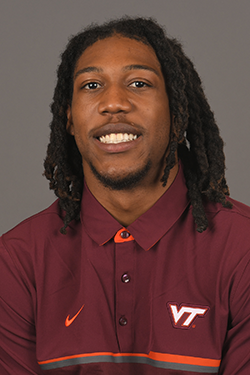 The former three-star defensive back played three positions in the secondary for Virginia Tech, making 31 career starts and six career interceptions. Terrell was stout against the run and though he struggled at times at free safety, he was good in coverage throughout his career and served as a leader for the Hokies. Virginia Tech was able to coach and develop Tremaine and Terrell Edmunds into first-round draft picks. Their career tracks should show future prospects that even if you aren’t a highly-touted recruit, you can still get to where you want to go at Virginia Tech. The Hokies need more of those examples. Virginia Tech is making headway in the other areas to raise their recruiting ceiling. The Hokies have won 19 games over the last two seasons, have had greater success in pulling in large donations and have made several facility upgrades with more to come. But if Virginia Tech wants to break through that glass ceiling, they need to have more success sending players to the NFL. Having two of your players go in the first round of the NFL Draft is a step in the right direction. Welcome! Thanks for visiting my new personal blog, The LaBlue Review. As you may know, I was let go by my full-time employer, TechSideline.com, on April 19, 2018. I was the associate editor for TSL, providing Virginia Tech football and recruiting coverage. Until I am able to find full-time employment elsewhere, I want to continue writing about Virginia Tech football and Tech athletics in general. 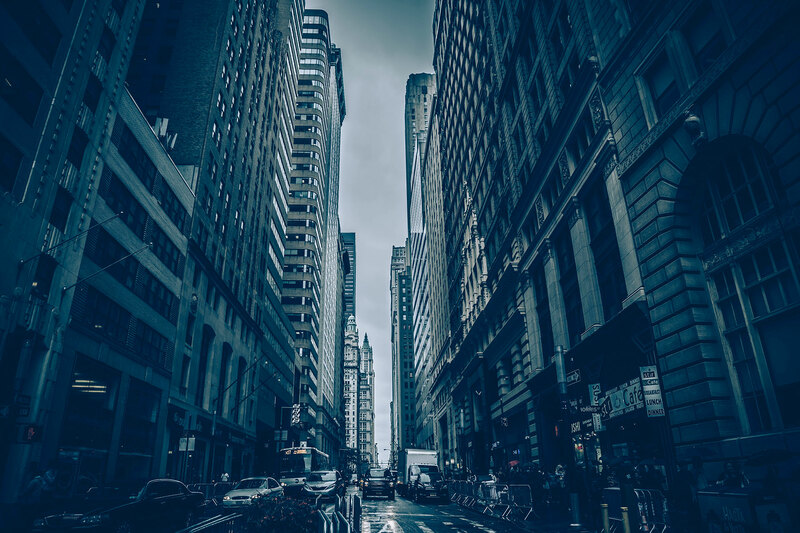 Creating my own personal blog is the best way to do that. I won’t be making any money off of this. Profiting off of this isn’t my goal, at least in the short term. Instead, my goal is to further my portfolio as a writer while continuing to serve and inform the readership I have built since I began covering Virginia Tech athletics in 2014. I hope you all enjoy my writing, and I hope you continue to interact with me.